Water/Aqua/Eau, Cyclopentasiloxane, Dimethicone, Polysilicone-11, Sucrose, Isopentyldiol, Camellia Sinensis (Green Tea) Leaf Extract, Gellidiela Acerosa (Algae) Extract, Morus Bombycis (Mulberry) Root Extract, Hypnea Musciformis (Algae) Extract, Vitis Vinifera (Grape) Fruit Extract, Poria Cocos Sclerotium Extract, Scutellaria Baicalensis Root Extract, Amorphophallus Konjac Root Powder, Laminaria Saccharina Extract, Algae Extract, Caffeine, Tocopheryl Acetate, Butylene Glycol, Caprylyl Glycol, Hexylene Glycol, Potassium Sorbate, Magnesium Ascorbyl Phosphate, Magnesium Myristate, Sodium Hyaluronate, PEG/PPG-18/18 Dimethicone, Saccharide Isomerate, HDI/Trimethylol Hexyllactone Crosspolymer, Silica, Polysorbate 20, Alumina, Ammonium Acryloyldimethyltaurate/VP Copolymer, Polyethylene, Phenyl Trimethicone, Sialyllactose, Triethoxycaprylylsilane, Phenoxyethanol Prep & Prime Skin may contain: Mica, Iron Oxides, Titanium Dioxide, Bismuth Oxychloride. This is the first face product ie: not for eyes or lips, that I have tried from MAC. Soft textured cream smooths out the complexion, making a good base for foundation. Works well over moisturiser alone to enhance your natural look. No problem so far with "beading" which is usually caused by silicone overload on the skin. Price point is about middle of the road. Works well on its own over moisturiser, without make up. - Cost effective. A little goes a long way. - A light white lotion that's easy to apply. - Tones down minor blemishes. 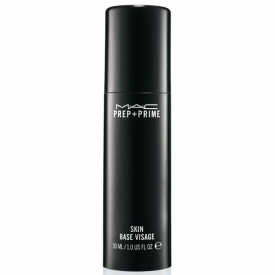 - Provides a smooth base for foundation. - After application, foundation lasts longer. Not as effective as a CC cream or green primer for covering skin redness. An excellent primer that tones down minor blemishes and provides a smooth base for foundation. 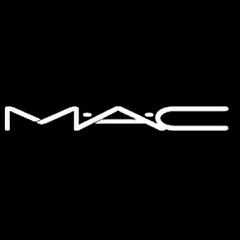 "This is the first face product ie: not for eyes or lips, that I have tried from MAC. Soft textured cream smooths out the complexion,..."